A natural combination of Rosemary and Cedar Oil which repels fleas and flies while deodorizing with a fresh herbal fragrance. 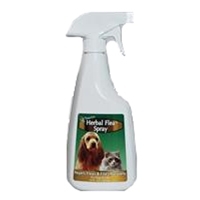 Herbal Flea Spray can be used on pets and pet bedding. FRONTLINE Plus has 2 tough killing ingredients. The 1st, fipronil, kills adult fleas and ticks. The 2nd, (S)-methoprene, attacks flea eggs and larvae. They work together to kill all month long. Plus, it breaks the flea life cycle. 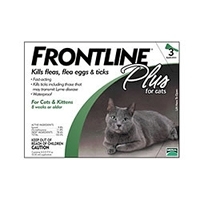 By also destroying the next generation of flea eggs and larvae, FRONTLINE Plus gives you the power to help prevent a flea infestation on your pet. 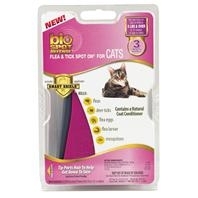 Bio Spot Defense® Flea & Tick Spot On® for Dogs kills adult fleas and ticks and contains an Insect Growth Regulator (IGR) to kill flea eggs and larvae for up to 30 days.